It seems like everybody wants to recreate their old parts with John Goodman today. 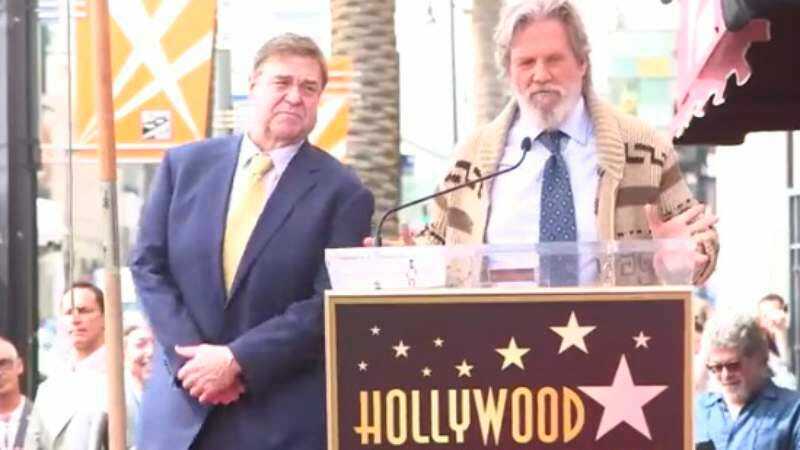 The actor—who showed up earlier this morning on Sara Gilbert’s The Talk, spoofing their old roles together on Roseanne—received his star on the Hollywood Walk of Fame this afternoon, with his Big Lebowski co-star Jeff Bridges scheduled to give an introductory speech. But, as noted by Variety, Bridges only stuck around for as long as it took him to pass Goodman a bowling bag and put on a familiar-looking knit sweater; it was The Dude himself, Jeff Lebowski, who actually gave the speech. Referring to Goodman interchangeably as “a good man” and as his PTSD-afflicted alter-ego, Walter Sobchak, Bridges delivered an aptly rambling tribute to his old friend. Cribbing liberally from Donny’s eulogy from the classic Coen brothers film, he praised Goodman as “a man of his times, a man of our times, and he has become a legend.” It didn’t exactly make sense—and really, who would want The Dude to make sense?—but it seemed to tickle Goodman’s funny bone. The actor—who’s currently starring in Kong: Skull Island—was red-faced with laughing by the time his old friend had characteristically rambled to a halt.